The even-toed ungulates (Artiodactyla) are ungulates whose weight is borne about equally by the third and fourth toes, rather than mostly or entirely by the third as in odd-toed ungulates (perissodactyls), such as horses. 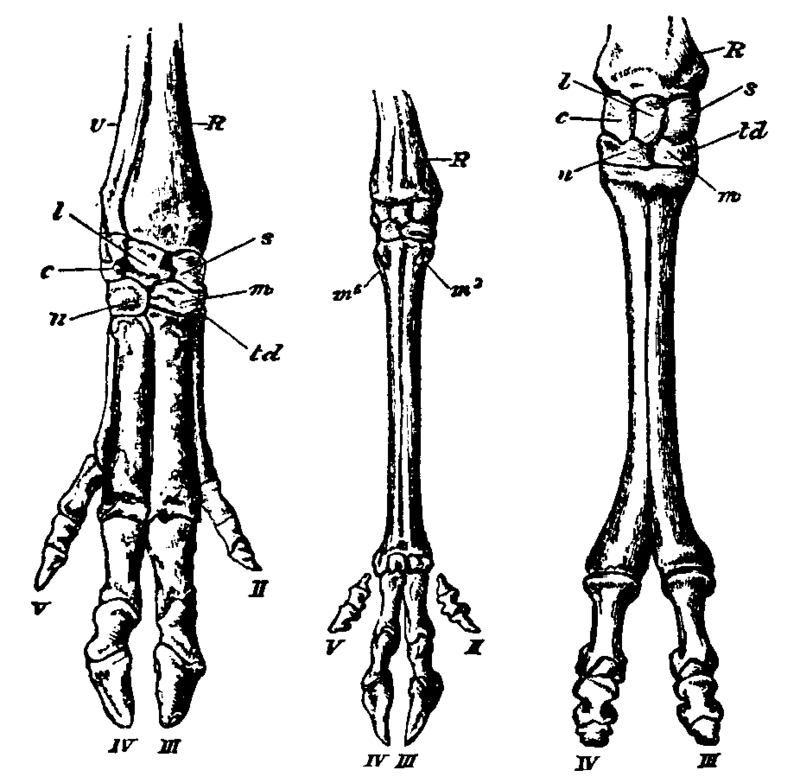 Artiodactyla comes from, so the name “even-toed” is a translation of the description. This group includes pigs, peccaries, hippopotamuses, camels, chevrotains (mouse deer), deer, giraffes, pronghorn, antelopes, sheep, goats, and cattle.